This topic has 41 replies, 23 voices, and was last updated 1 year, 5 months ago by Anonymous. The idea that steel will take so many more hits is a silliness rooted in lack of combat experience. 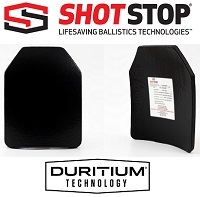 The idea of ballistic plates is to cover vital organs in the event that you are unfortunate enough to take hits. There are plenty of places outside of the plate coverage were you can also get hit and it will wound or kill you. Are you expecting to survive multiple contacts with rounds pinging off your steel plates? If you are lucky enough to defeat a round due to wearing ceramic plates, it does not make the plate suddenly ineffective, and you should consider yourself lucky to walk away. In terms of multiple hits on and near to the plate, if the plate allows you to survive wounded, but not killed, consider yourself lucky. Magazines / gear chest mounted lays within the triangle of your standing shooting position, within your arms carrying your rifle. This means that when in the standing position,they effectively take up no space (only dead space). A large LBE-type battle belt with large admin pouches will hinder you in a vehicle, home base, or CQB environment. 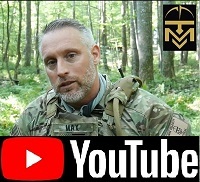 The MVT Lite Fight Concept is optimized for moving in and out of vehicles and through doorways in a home base or CQB environment, On the CQBC classes students soon learn the disadvantages of large belt mounted pouches, even ‘two deep’ magazine pouches on the hips, when they get hung up in doorways. The idea of the LBB is to give you a comfortable basic load for handgun and rifle that compliments the rest of your gear and also allows you a day to day piece of equipment that carries that basic load. Yo have the handgun on you and the rifle close at hand. 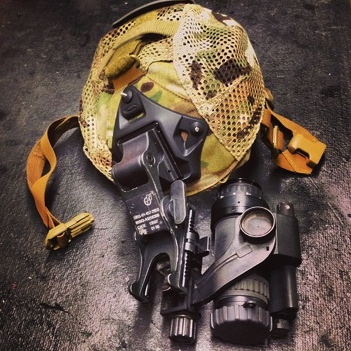 The IFAK is also on the belt becasue I plan on wearing the LBB at all times as the basic item of gear I will build up into the other items from. This means I have the IFAK on me. Ensure that if you have a low profile gas block, that it is pinned. Stay away from the ‘frankenguns.’ Also, be aware that many popular manufacturers make rifles that are great for light use, plinking, 3-gunning etc, but use a set screw with loctite rather than pinning the gas block. 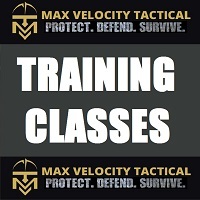 When run hard under combat conditions in training or operations,this will fail and you will find yourself with a bolt gun. There is so much knowledge dished out here! Maybe run this by Matt in Oklahoma for his approval? Yes! Logical and streamlined kit advice. In a perfect world every patriot would have a load-out like this. Thanks for the clarification on the dump pouch. I view the dump pouch as utility expansion sack. It should generally not get used for empty mags following combat reloads. But it may do, if there is time and operational necessity to pick them up. Such as in an ambush. But if you do use the dump pouch for empty or partial mags, it should only be temporary given the noise the thing makes clanging about. For other items that you may pick up, or shirt term added carrying capacity, it has utility. Have you gone to a Glock 26 for full time carry? Just wondering because I have gone back to the Glock 19 for the most part and before this last go, I bought a Glock 26.
Who is the manufacturer of the small Hydration Pack in the picture marked 1A ? 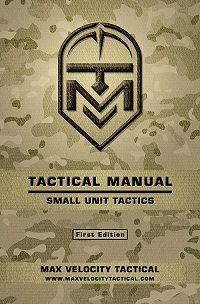 Sorry, The LHP is marked #1 with the small Tactical Tailor pouch marked 1A attached to it. I am wondering about the source for the LHP. to eliminate the velcro and change it to the buckles. I am using one of the MVT PC Attachment kits. I had posted about how with the PC Kit, you can use that to attach the chest rig to the back of the PC without the cummerbund, so you can eliminate the cummerbund. I happened to have a set of female clips that were attached to velcro pads as part of some other R&D. When I removed the chest rig from the front of the PC, I just put the velcro under the mag flap on the front of the PC, where the cummerbund usually velcros. This gave me a set of removable female clips either aide of the front plate, into which I could attach the PC attachment kit straps. Does this make any sense? So using this system, I can remove the Velcro with the clips, and attach a chest rig, and clip the PC kit slips directly into the side of the chest rig, as before. So I am using the PC kit either with a chest rig mounted to the front of the PC, or without and using the velcro clips instead. If I get to the point when we can start making the SOR rig again, I had asked for it to be made with the PC kit, to allow this to happen. If the company eventually comes through (I have been behind other orders, 180 day wait), we may however be facing a cash flow problem to get back into production, given the other projects such as the team cabin, the long range steel targets, etc. Hence another reason for the raffle! Just reminded me of something. Another idea for you. Functions basically exactly as Max described and cheap and easy for you to make. Now with pictures. I thought I had read that Max is using the HSGI Slim-Grip belt for the Lite Battle Belt concept. I have searched and haven’t had success. Which belt is Max using? USRO has a very good price on a size small Slim-Grip/medium cobra belt. I have been toying with the lite battle belt concept for that past year but haven’t found a belt combo that works well with the concept. I realize the MVT lite belt is on hold for now. Basically I am running an HSGI BB which has 3 rows of molle. It is about 4.75 inches wide in the back. I have used an Alice USGI belt, a police belt and a rigger belt on the inside at times; and am running a double pistol mag pouch, TQ, multitool pouch, pistol, small Ifak in the back and a single AR mag pouch. Yesterday I went into the hills to run some drills. It was a dry 96 degrees (Utah). I was wearing jeans and a t-shirt over the pants belt. Then the lite BB over that. What I found was that the lite BB was very hot (due to the material and the 4.75 width; and that practically every movement I made, the BB would grip my shirt and pull it out to an extent. If I loosened the belt, it would still grip my clothes. The grip padding on the inside of the BB is the reason I am sure. My guess is that something that did not grip (like a straight Alice pistol belt) would both be cooler and grip less. But then you run into the problem of trying to put molle pouches on a slick belt. So perhaps the ideal would be a two row molle belt with little padding and no grip interior (not sure if a slick interior creates a new set of problems however). I know a guy testing out a custom made riggers belt (super stiff) with pouches directly attached with 550 cord. He ran it in a class and said it worked. I’ve entertained the idea myself but don’t know if I’ll try it. I’m a little concerned about something coming loose. I use the HSGI 2 molle wide version. Never noticed any problems. But then I don’t tuck my shirt in. There may beany number of other options out there now, I have not had my eye on the market for a while. 2 molle wide is good for size, not ideal for the actual molle attachment. Works though. 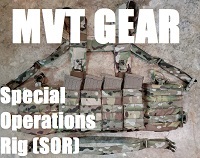 Even if MVT brings gear back, it will likely be the SOR rig, and not the BB. Try the AWS belt. It’s what I run. That HSGI belt you’re using was my old full battle belt. I spoke with HSGI and they told me that if one used their clips; instead of a Malice type clip; that you could get a tighter bond between a mag pouch and the 2 molle slim belt. They have a video on their Accessories page (where they sell the clips) on how to thread the 2 molle belt differently than your 3 molle belt. My pouches are all tied on with guttrd 559 cord….